So you think you can throw wheels huh? So yeah, I throw wheels, I come from a long line of wheel throwers, my father threw wheels, my grandfather threw wheels and my children will throw wheels. It is what we do. It is honorable and I love that I can add that as a skill to my LinkedIn profile as I want the world to know that I, Paul Shriner can throw wheels and I can finally get some recognition for it. Like me, people want to be identified for what they are good at. People don’t want to be “stocker, creepy” identified, but they do want “I throw wheels and I want the world to know it” identified. Which is why the ‘Skills & Expertise’ feature on LinkedIn has caught on so quickly. Friends and coworkers report that the user is a good wheel thrower and that skill gets added to their profile and they wear that label like a badge of honor. The topic here is personalization, and Sendtime Optimization is important when talking about personalization.Sending good content to your subscriber when they are available, whether they know they are available or not, honors their time! This intentionality of sending has a beautiful side effect of increasing open and click rates by a substantial margin. 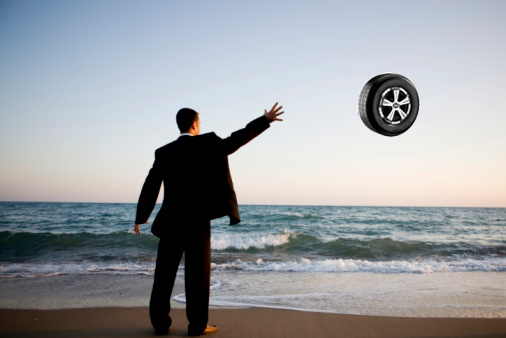 So if you, like me are ready to add “Wheel Thrower [http://www.linkedin.com/skills/skill/Wheel_Throwing]” to your LinkedIn profile, consider heading on over to our friends at TireBuyer.com [http://www.tirebuyer.com/wheels ] and pick yourselves up a solid pair of wheels to get started. Maybe get a couple of sets, so you aren't stuck unable to throw wheels if one set goes down. And yes, before you ask, I know that “Wheel throwing” is about Japanese pottery, and not physically throwing wheels, but why not make 2013 the year of misunderstanding, get yourself a set of rims and radials and Let’s throw some wheels! Connectile Dysfunction, there is hope! As you plan your Email Marketing campaigns this Valentines Day, consider the issue facing many of us Connectile Dysfunction. Send Time Optimization infomercial, Paul's attempt. Adblocking, biting the hand that feeds you.